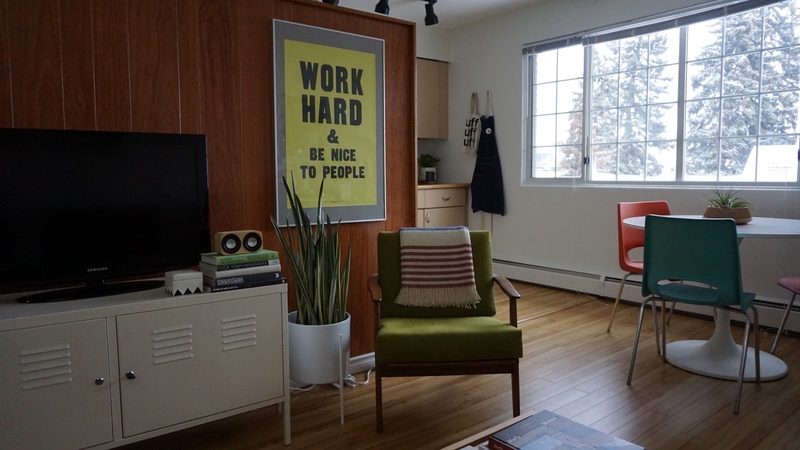 With original mid-century-modern elements and a killer view of downtown Calgary, Chester Ebona’s 1960s Lower Mount Royal walk-up apartment is truly a hidden gem. 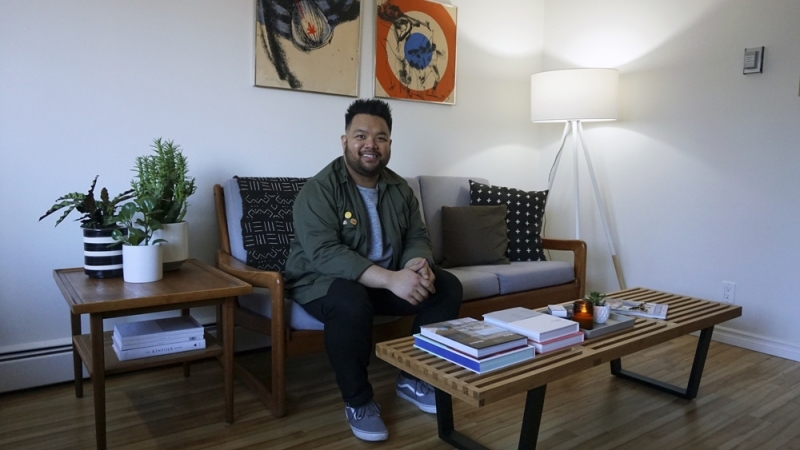 Chester Ebona at his Lower Mount Royal studio apartment, which is decorated with local finds such as a mud cloth blanket from Plant in Inglewood. You might recognize Chester Ebona. 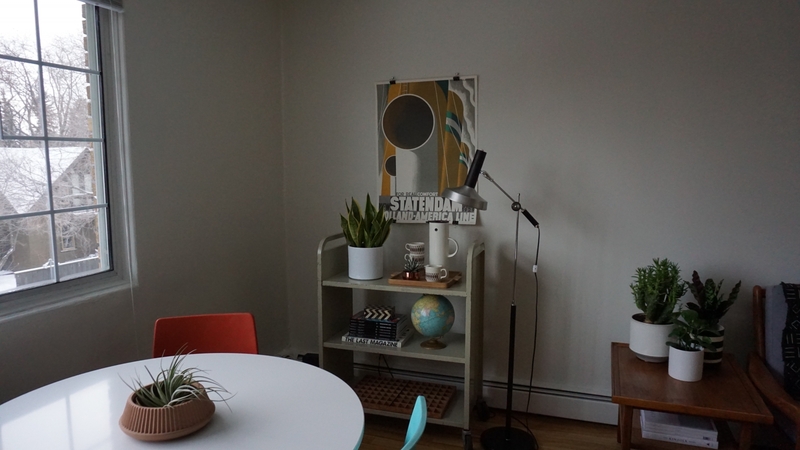 We featured his 1960s renovated apartment in Mission almost exactly a year ago. 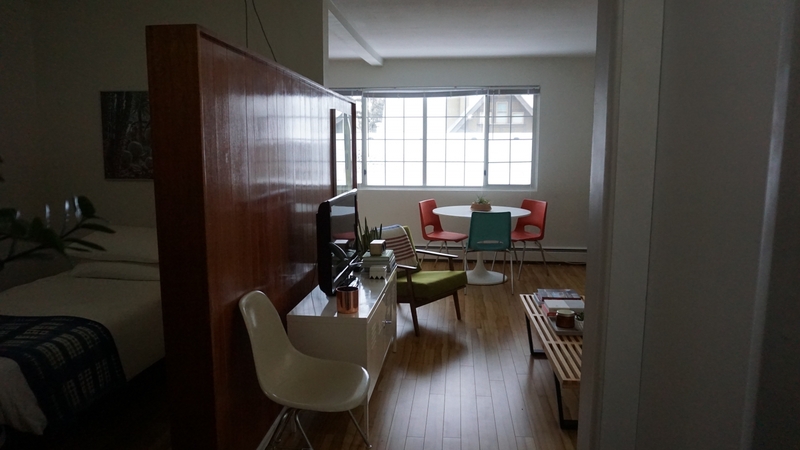 The local graphic designer and vintage furniture merchant has swapped that contemporary space for a character-filled studio apartment in Lower Mount Royal and has filled it with mid-century gems that work beautifully with the original charm of the space. I would say simple and functional, but also aesthetically pleasing at the same time. My style is a combination of mid-century modern and industrial. I find that the combination of both gives a very casual-cool vibe that I’m really drawn to. For the most part, I try just have a few key pieces that I need and truly love, and I always try to keep decor pieces to a minimum. My living room – I spend most of my time here when I’m at home. It’s a great space to relax in after a long day at work, and for entertaining. 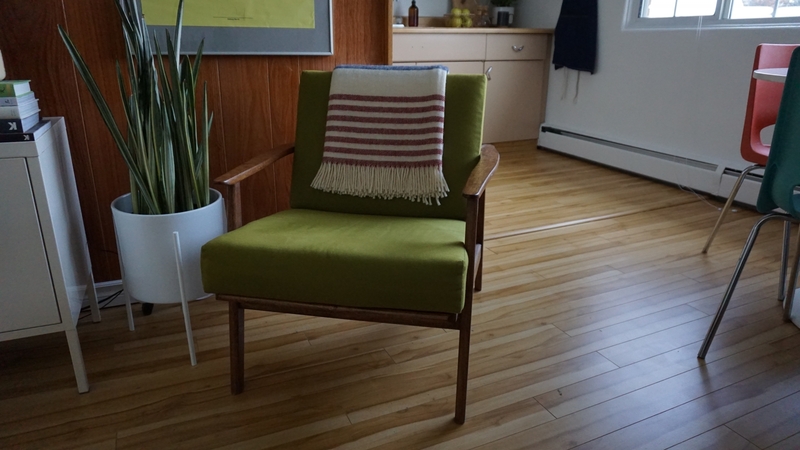 I love the green mid-century-modern chair that I originally found in Kijiji. When I first got it, it was in quite bad shape and the cushions were in a floral upholstery. I got the chair restored and got new cushions made with the olive green fabric that I chose. I was really happy how it turned out. It’s something that I will have for a really long time. I really like the two prints above my sofa that I found at a local antique store. I just love how bold and graphic they are. They really make a statement in my living room. They’re actually done by Bill Brownridge, a Canadian artist. 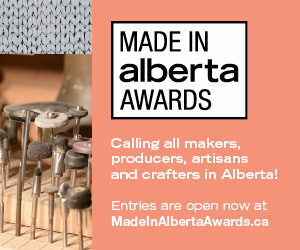 He was commissioned to do them back in 1981 by the Calgary Olympic Development Association for the city’s bid for the 1988 Olympic Winter Games. I’m constantly looking through Instagram, Tumblr and various design blogs. I also like to collect design books and magazines. Not only are they great for inspiration, they’re also my favourite decor and styling trick as they bring a lot of personality to a room. 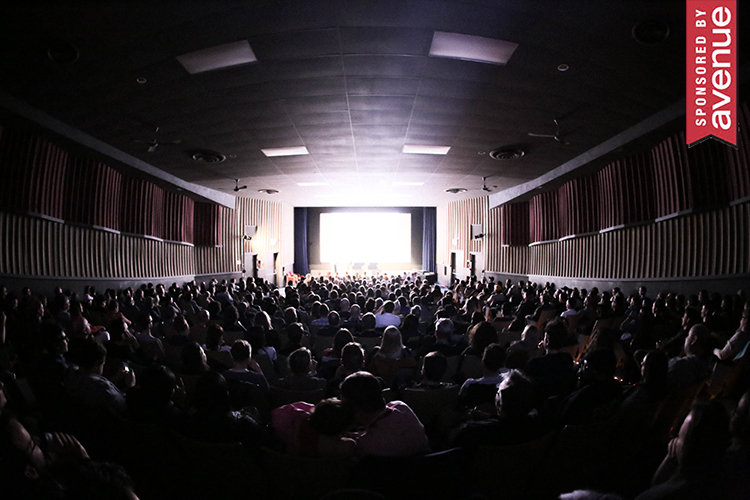 Still same as last time – location. I really like Kijiji, thrift stores, Mid Mod Market, Plant and Fieldstudy. I try to buy vintage as much as I can before buying brand new. Not only is it a good opportunity to find cool unique pieces, but it’s also environmentally friendly as well. The biggest challenge would have to be finding storage with my very small space, especially in an older building. Since moving to my new apartment, I’ve really learned to edit myself and get rid of the things I don’t really need or use that often. This allows me to not have to worry about finding space and storage for necessary things. I pretty much just have one big window in my space but I get a really great view of the downtown skyline, which is an added bonus. I still really want to live in a loft with concrete floors and exposed bricks. I think that kind of space really suits my aesthetic and I really like open-concept living. The studio apartment is split into two halves by an original wood-paneled pony wall. Embracing the mid-century charm of the place, Ebona left it untouched and has hung artwork directly on the wood. 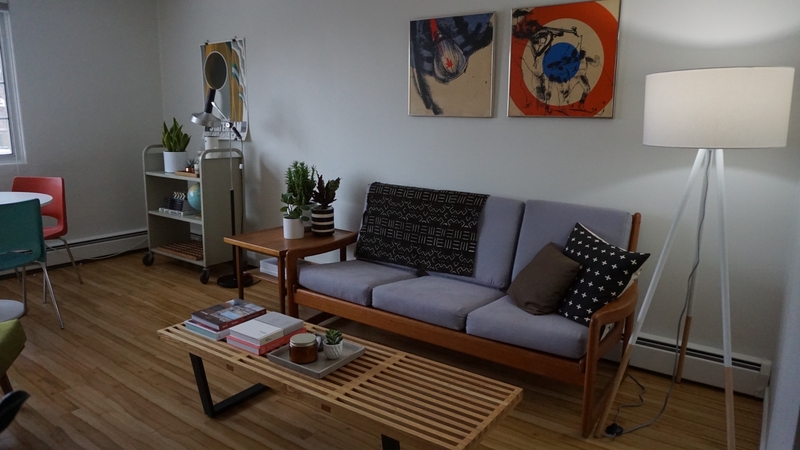 Ebona’s small mid-century modern sofa was reupholstered in a soft grey canvas. The vintage prints above the sofa were created for the 1988 Olympics by Bill Brownridge. 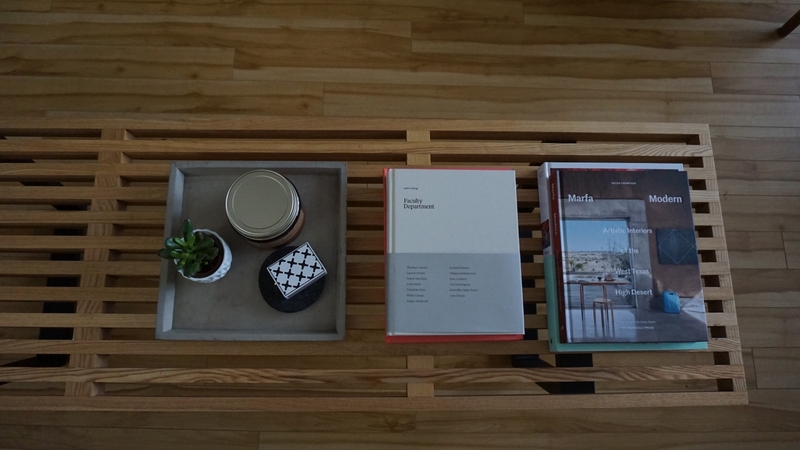 Ebona’s coffee table is constantly being restyled and updated to reflect what’s currently inspiring him. Ebona salvaged this mid-century armchair from Kijiji, refinished the wood and worked with a local upholsterer to reupholster the cushions in a striking green. 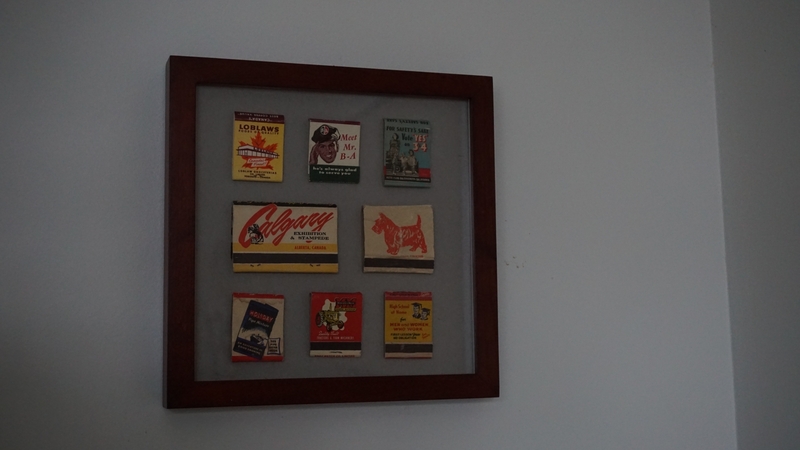 Ebona created a small shadow box displaying vintage matchbooks over the stove in the kitchen. 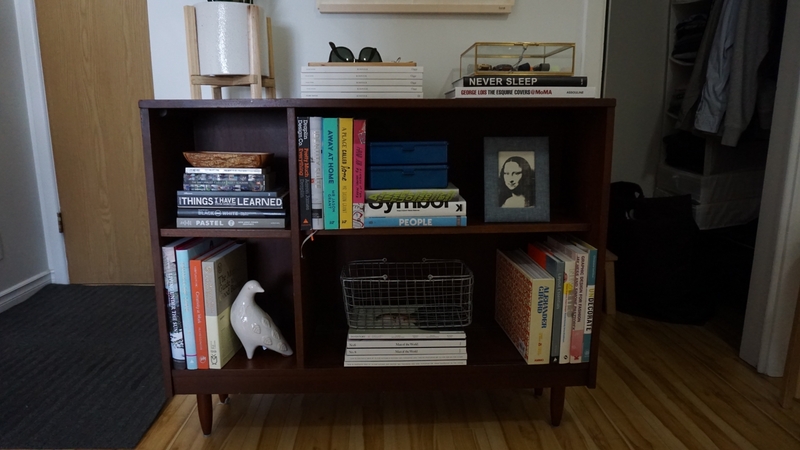 Ebona added an old metal library cart from Kijiji to his dining area. Calling it the perfect storage solution, he can quickly roll it out of the way when he is working on projects in the room. While the studio apartment might be lacking on space, it is certainly not lacking in style. 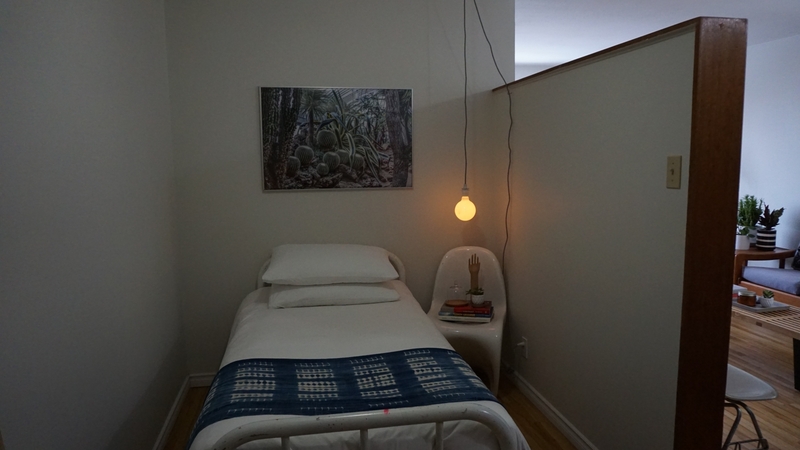 Ebona has a knack for creating thought-provoking vignettes throughout his space with interesting textiles and objects like this indigo blanket from FieldStudy on on 4th Street S.W. Ebona, who works as a graphic designer, has a wide selection of art and design books as well as select magazines like Kinfolk that he keeps on hand when he needs some fresh inspiration. 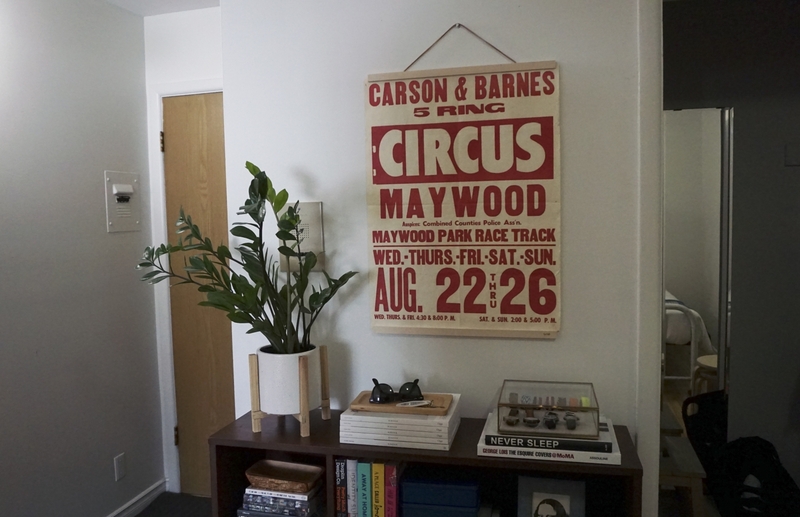 A bright and fun vintage circus poster found a home above the small mid-century bookshelf that Ebona keeps in his bedroom area. The poster hanger is from Plant in Inglewood. While the studio may not be too expansive, it is very well laid out, making each area of the apartment feel spacious and well appointed.